Elko Sanitation proudly provides top quality residential garbage and recycling in Elko County, NV. Please contact our offices at 775-738-3771 to set up your Elko residential waste collection service. Starting March 5, 2019, Elko Sanitation offers an easy-to-use tool for residential customers to use to look up their collection schedule. Just enter your service address below and click Search to view your customized schedule. 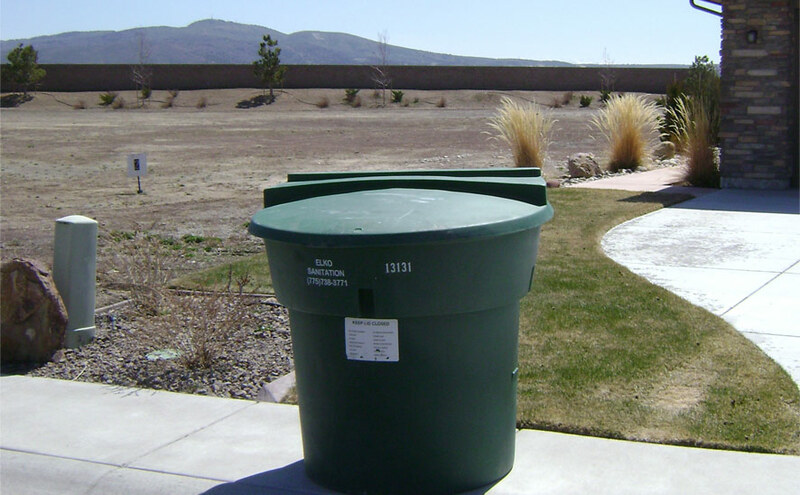 Elko residential garbage collection is performed once per week, Monday through Friday. These are the only holidays that might affect your residential trash & recycling service. Place the cart in the curbside street gutter by 5:30am on residential garbage and recycling day. Make sure the cart handles face your property with the lid opening toward the street. Place the cart at least 5 feet away from any obstructions (ie: mailboxes, vehicles, basketball hoops, low hanging trees and branches). This helps to ensure our Elko Sanitation Truck’s mechanical arm can pick up the cart. 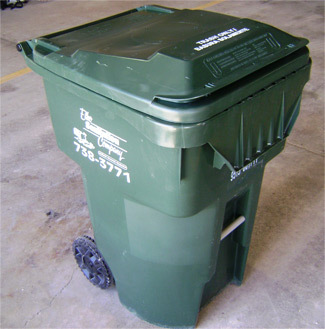 If you need additional Elko Garbage Collection carts please contact our office at 775-738-3771. Elko Sanitation Company proudly offers a Commingled Recycling program in the City of Elko. Why Commingled Recycling? Commingled recycling is easy, accepts a wide range of materials, and reduces the amount of trash that go into our landfill. In 2013, Elko Sanitation recycled over 482 tons! Research shows participation and recycling levels increase when sorting is not required. Commingled recycling is more efficient because collection trucks can hold more materials in a single load. New recycling technology allows materials to be sorted at a central location. Connect With The Future. Recycle. The Elko Sanitation Recycling Program is available to residents within the city limits of Elko, NV. Call 775-738-3771 today to join. A little bit of preparation goes a long way toward keeping our automated recycling trucks working for you and for the good of the planet. So, please keep recycling free of contamination, including garbage and food waste. Simply clean, rinse, dry and empty your recyclables. Contaminates like these can cause entire loads of otherwise clean recyclables to end up as garbage. Remember, a recycling symbol on an item doesn’t necessarily mean we can recycle it at the curb, or that there is a recycling market. For example, no glass will be collected with the comingled recycling program. Note: Lids can be recycled too. Please separate lids from the bottle/container. All items must fit in the 65 gallon cart provided to you by Elko Sanitation. Place the cart in the curbside street gutter by 5:30am on recycling day. Place the cart at least 5 feet away from any obstructions (ie: mailboxes, vehicles, basketball hoops, low hanging trees and branches). This helps to ensure our Elko Recycling Truck’s mechanical arm can pick up the cart. 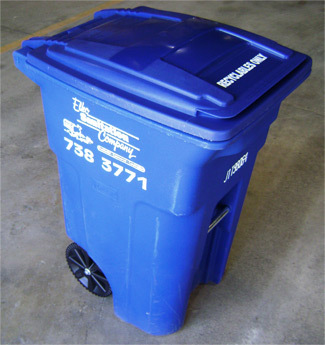 If you need additional Elko Recycling carts please contact our office at 775-738-3771. Elko Recycling service is performed on the same day as your regular Elko Residential Waste Collection service.